Do you have a question about Copyvision? See the list below for our most frequently asked questions. Our Main office and engineering workshop are based in Stanstead Abbotts, Hertfordshire. 7 miles north of the M25. We started Copyvision at the end of 2006. How did you start Copyvision? Both Carmino and Sab Martucci had previously worked in the industry from the mid 1990’s in both sales and engineering roles. At first, they shared offices and engineering facilities with a very good friend who runs a successful IT business. Since those early days they have moved both their engineering and office facilities having outgrown the space available but still keep some business functions in Hertford. We cover Hertfordshire, Essex, London, Bedfordshire, Cambridgeshire and Buckinghamshire. Areas which we are able to deliver support, through our own engineering capability rather than using third party companies. What equipment brands do you supply? 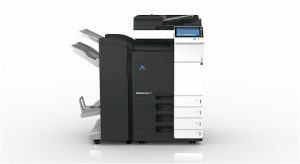 We predominantly supply the Konica Minolta brand. However, we do also supply other brands, detailed on the website. The common theme across all brands and equipment we supply and support is they all use laser technology and toner based. We offer equipment rental packages and outright purchase. How do I know you are recommending the right equipment for our needs? We focus on the results businesses want not just functionality. Only when we are sure we have a complete picture do we start to form a proposal. For our rental packages ownership remains with Copyvision. If you purchase equipment, you are the legal owner. Do you offer equipment trials? Yes we do, but as you can imaging we do not stock every model for every brand we supply. Where we do hold stock of certain brands and models we welcome the opportunity to showcase exactly what we offer. This is especially useful if a company is considering a brand they are not already familiar with, and to test the standard of support we deliver. Our trial period is limited to 2 months and support costs apply as they would, should you accept the proposed package. Do you offer an onsite demonstration? Yes we do, we can bring equipment to your premises and either set it up on or off your IT network. Demonstrations usually take no longer than 2 hours including setup. Our costs are calculated on a cost per print/copy, times the number of pages printed in a time period. How frequently will we be invoiced? 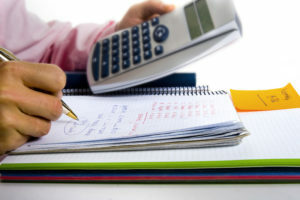 Our billing cycle is monthly, and invoices are sent at the end of each month. 30 days from the date of invoice. How do you get the monthly meter readings? Our preferred method is to configure the equipment to automatically email the readings to us on the same date each month. This method is dependant on the way your IT network has been setup. Alternatively, we send customers meter reading requests. They read the meter counter on the equipment and email them to us. It’s a very simple process. Are there additional costs for the delivery of toners and consumables? No. This is included in our standard support agreement. Is there an additional charge for toner usage over 5% of page coverage? No, our pence per print/copy charge does not specify toner coverage limits or penalty costs. Do you charge for scanning? Do we incur additional charges for onsite engineer parking charges or congestion charges? Not at the moment, although we may review this in the future for the London congestion zone. No, we make sure customers and potential customers are fully aware of what costs will impact their business without exception. Does the support cover include all consumables? Yes it does, without exception. What is your callout time for onsite engineer support? It is 4 hours from the time a customer first notifies us of a problem and support is needed. Once we have established a problem can only be dealt with by an engineer being onsite and not by remote access software, we are more often than not with our customer in under 3 hours. Sometimes we are able to remote access into a customer pc with their permission to reconfigure software after a windows update for example which takes minutes and removes hours of down time. Who do we contact if we need an engineer? What happens if you cannot fix a problem? We have never had a situation where we have not been able to repair a fault. However, on very rare occasion when a fault repair is judged to involve considerable down time we have replaced the equipment with a temporary device of the same functionality so that we can work on the fault at our workshop. This example is covered by our support where the fault has occurred through normal use of equipment or wear and tear. Where a fault has occurred through user misuse or accidental damage this would be charged for separate to our support. Should we ever encounter a problem we are unable to repair we will replace the equipment on a like for like basis. Our priority is minimising the impact of the problem to our customer. If equipment needs to be relocated do you do this, or do we make our own arrangements? In some instances where equipment needs to be moved from one part of a building to another part on the same floor we would ask that customers contact us. If we believe a customer can relocate it themselves, we will say so. Moving equipment that stands on its own rolling pedestal done slowly and carefully can be straight forward. If however, we feel that moving equipment may carry too much risk to the safety of staff or damage to equipment we will strongly suggest not doing it yourselves but letting us do it. There is a cost which will be less than employing a 3rd party relocation service company. Do you recycle empty toner cartridges? Yes we do offer this service to our customers. If when you remove empty toner cartridges/bottles you store them, we will collect them as part of our next service call to you. Periodically we arrange a bulk collection from our premises by a specialist company that recycle empty toner cartridges/bottles. Does your support only cover the hardware/equipment? No, as well as all the support for hardware our support also covers software support for printing and scanning. So, if you are upgrading computers for instance we would load and configure software at no additional cost. We also provide staff support which includes staff training for existing staff who need to learn how to do more complex document automation, and for new staff members as part of their introduction. Do you leave us with a spare set of toners onsite? Yes we do leave a full set of spare toners onsite. All we ask is that you notify us if you use them so we can update records and replenish the spare set for you. How do we order more toners? Ordering toners is done in the same way as you would request any other aspects of our support, either by email at service@copyvision.co.uk or by phone on 0845 2000793. In many cases equipment can be configured to automatically send us email messages notifying us that toner levels need to be replenished in the near future. We then send out the required toner to replenish the stock of spare toners. Again, this is dependent on IT network setup by your IT company.